Highly Recommend written by mobile I'll take care of it a little more. I'll take care of it a little more. Finally i got this one., it is good to me.. I bought it on the 14th and arrived on the 20th day. The vibrations are stronger than you thought, so your mouth is tingle. Recommend written by mobile It is a luxurious and elegant feeling. I feel a little vibrate. I feel weak mode is strong for sensitive person. Highly Recommend written by mobile It's a good Xiao Mi electric toothbrush. I did not expect it at all, but I like the finish and design more than I thought. 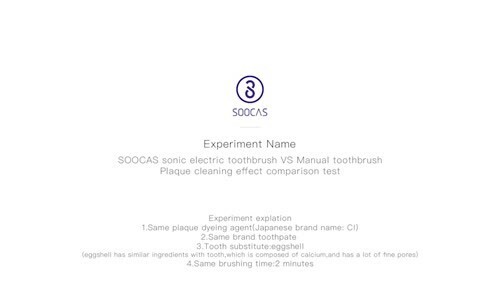 If you are using an electric toothbrush for the first time, it will take some time to get used to it. I feel a little different from brushing. that's good. shipping is quite right on time. The capacity for cleaning the teeth is wonderful! Thank you. Good product, fast shipping, highly recommend. Good quality. Feel fresh after using it. That's great! Delivery and price was excellent! It is possible to inquire after the domestic import as a direct delivery product. I have not made any progress in the way of ordering. Your order will arrive on 4/22 of your order today with delivery complete. Has your product been well protected? I can not view it on the personal clearance site you provided below. Your goods have been customized. Please wait a little longer while domestic courier shipping now. I sent it on March 28, when will delivery be? I bought two brushes (black). I bought four brushes (white), but only three. I bought two electric toothbrushes ... How do I handle them? I will give you a break soon after confirming the increase. Your order number is well received. We are currently confirming to you from our side, and I would appreciate if you send us your picture of the product you received.